Rock a funny and festive t-shirt while you kill it behind the bar this St. Patrick's Day. 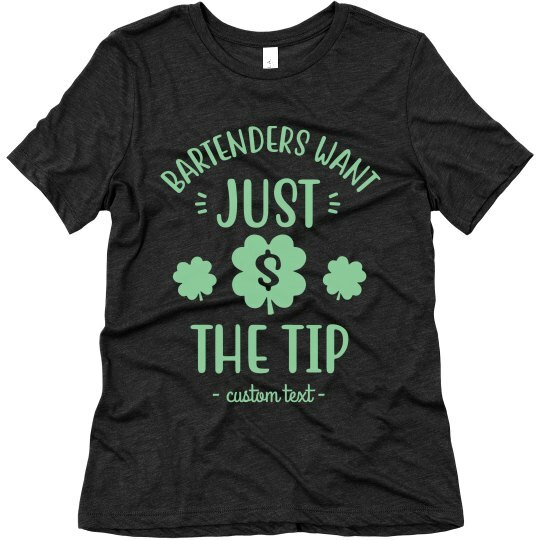 We know what a bartender really wants while their serving those green beers - just the tip! Customize this comfy top for you and your co-workers to wear this St. Paddy's Day!